Do you have a .rar file(s) that need extraction? RAR is an archive file format, similar to ZIP files. RAR files are not as common; however, you may occasionally need to unpack several RAR files quickly. 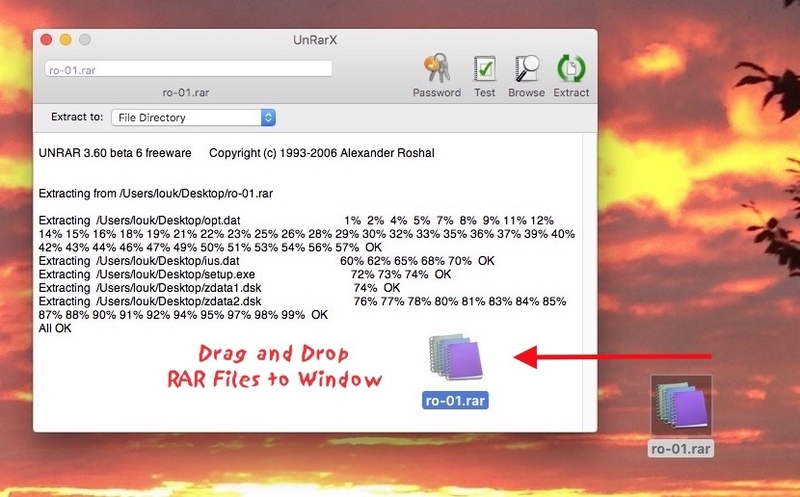 A quick, lightweight, and free UNRAR utility for Mac X is UnrarX. UnrarX has a simple and lightweight interface. You can simply drag and drop RAR files and have them extracted right on your desktop. In addition, UnRarX support password encryption for decrypting RAR files.